i loved getting to work with Chelsea + Jared! they live in Arizona & Jared was in Oregon for the summer for work. Chelsea & both of their moms came up for a little weekend trip! 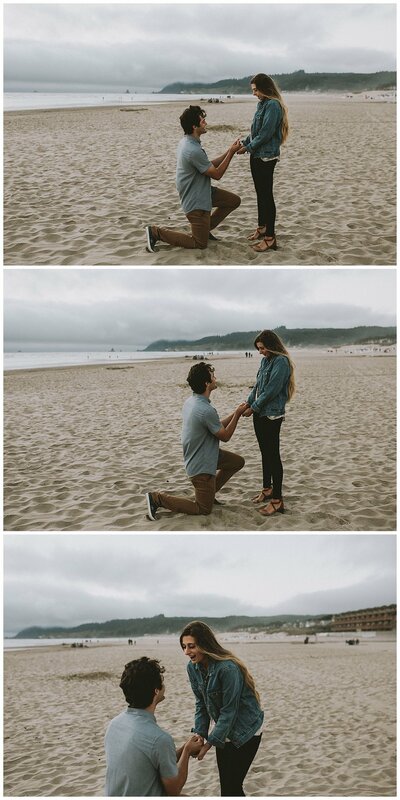 this was such a sweet session because Jared told me halfway through, while Chelsea was changing into a new outfit, that he was going to propose to her during the shoot! she had no idea & it was adorable. love being able to capture these moments for a living.